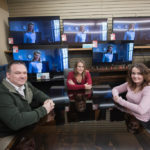 Marquette, MI – January 14, 2018 – We’re back with another quarterly giveaway and this one is BIG! 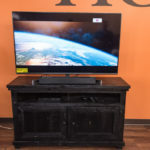 Whether you’re a local college student looking for furnish up your dorm room, or a dad who loves sports, this giveaway is one everybody will want to win! 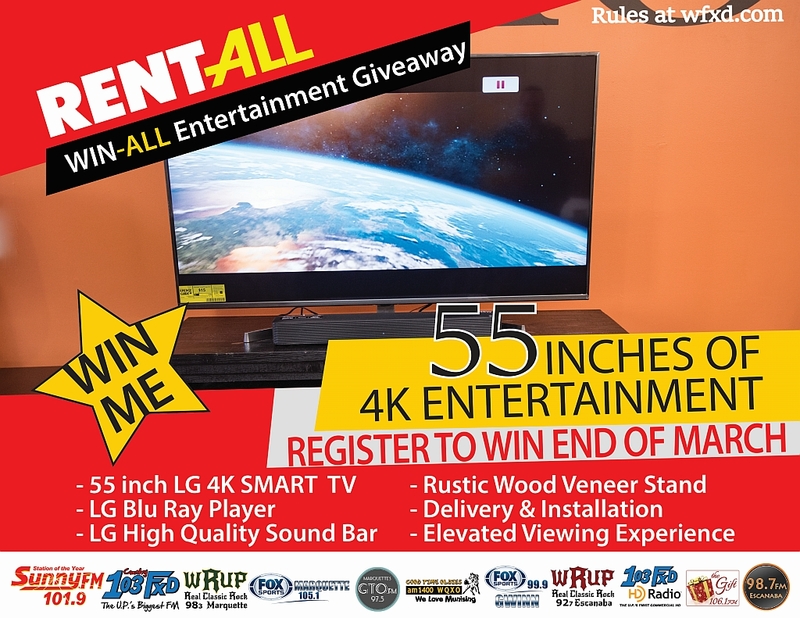 We teamed up with Appliance and Furniture Rent-All to give away a 55 inch 4K Entertainment Package. 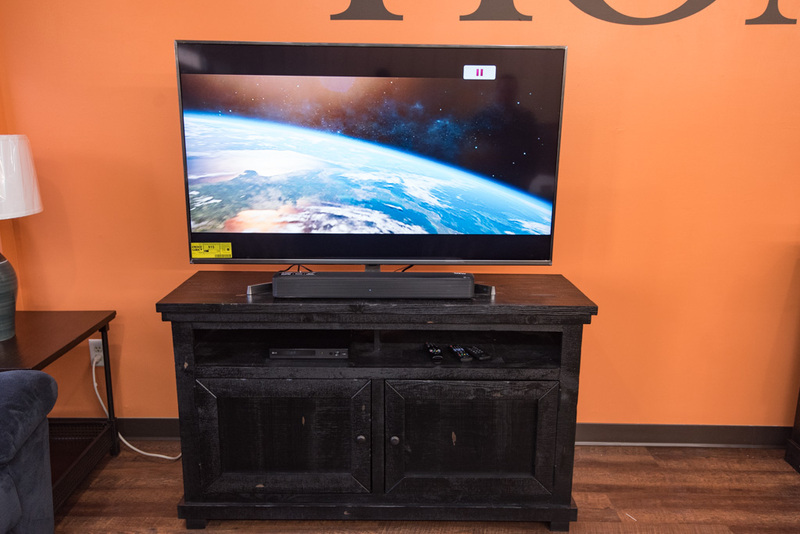 This incredible entertainment system will elevate your viewing experience and improve the look of your family room or man cave. Register for your chance to win this complete entertainment package. We make it easy for you to put your name in the running. 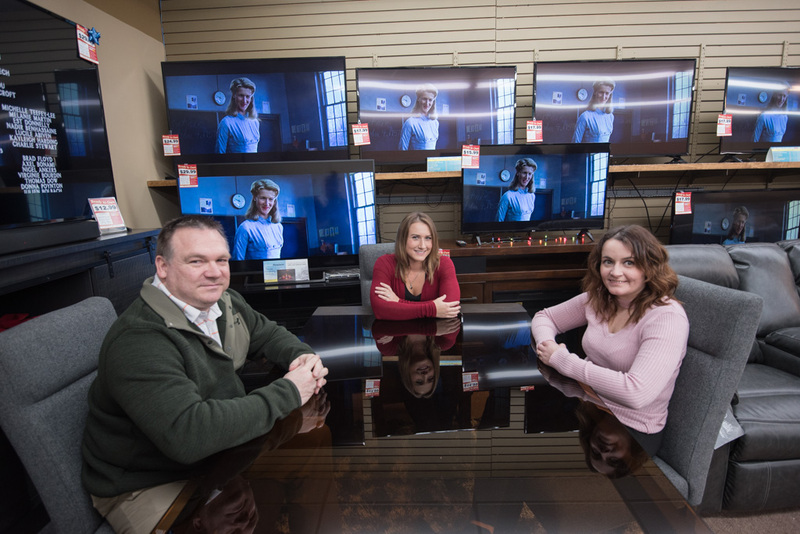 Whether you’re out shopping in Marquette County or sitting on the couch at home, you register for your chance to win! 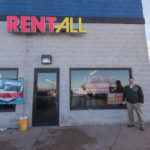 Enter at one of our many local business sponsors or online for the Rent-All Win-All Entertainment Giveaway. In April, we’ll select 400 people to join us at River Rock Lanes and Banquet Center for our first party of the year to giveaway the entertainment package. 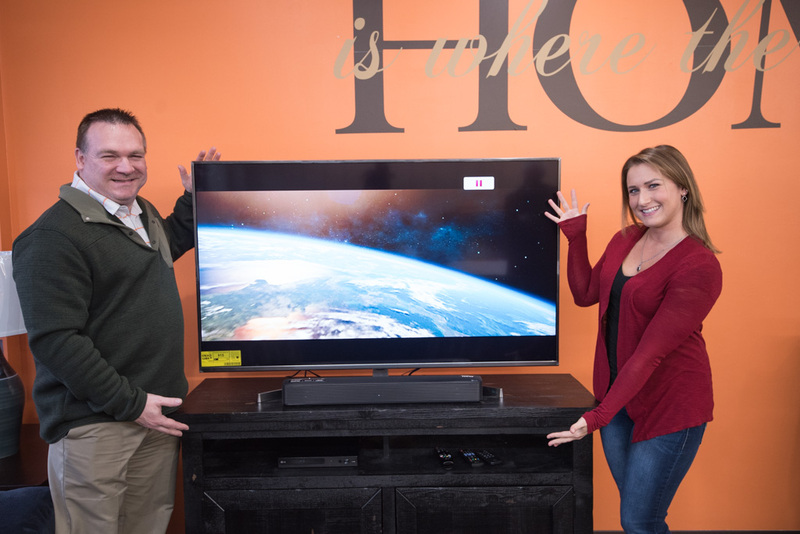 One lucky winner will go home with a 55″in 4K Smart TV from Rent-All! or register online from right from your computer or smartphone! 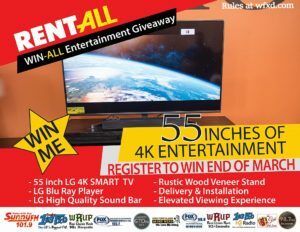 See more information about the contest on the official Rent-All Win-All Entertainment Giveaway page. 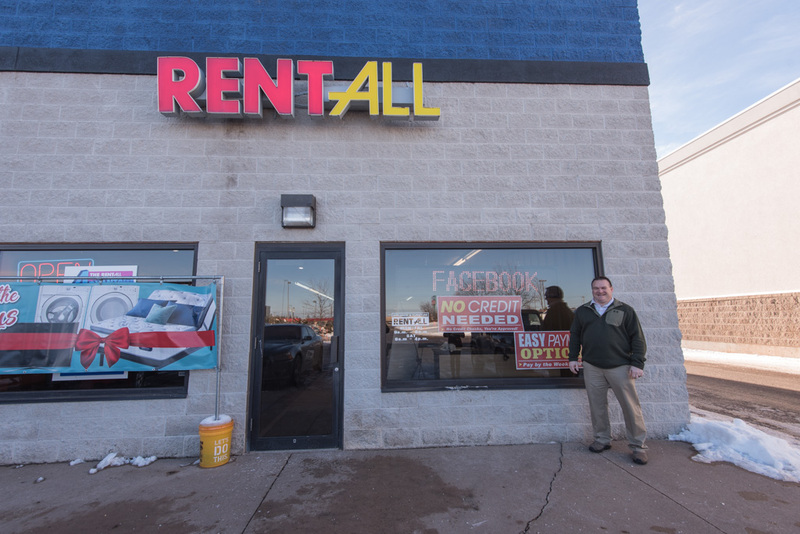 Stop in to see Crazy Calvin at Rent-All off US-41 in Marquette. 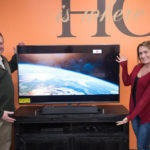 Calvin and Kelsey showing off the grand prize. Calvin and Kelsey at Rent-All in Marquette. Drop in to Rent-All to register for your chance to win. 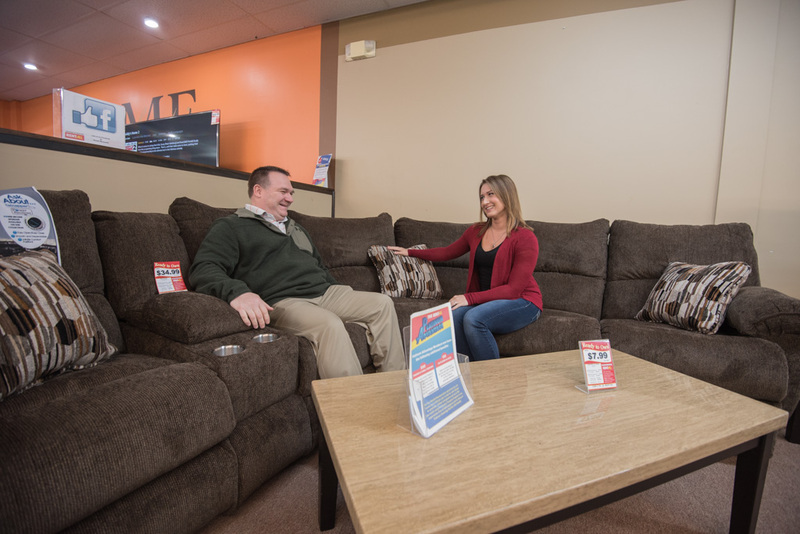 Make sure to check out all of the other furniture, home appliances, and electronics you can purchase at Rent-All while you're there.